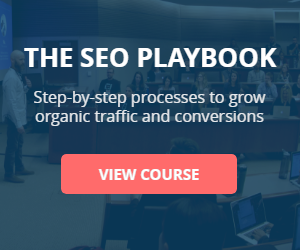 Note: I've completed "The SEO Playbook", my premium SEO training course. Find out more about the program, and see what other students are saying here. Looking to create high-performing SEO campaigns? Then you need a stout SEO toolset. The problem? The more tools you buy/subscribe-to, the more costs skyrocket. And you're just getting started. Before you know it, you’re spending $500+ a month on SEO tools. Each standalone tool comes with its own learning curve. And few, if any, of the tools will integrate with each other. In this review, I’m going to show you EVERYTHING Ahrefs can do, and walk you step-by-step through 50+ practical applications of the tool you can use to immediately boost the performance of your SEO campaigns, grow your organic traffic, and business. Ahrefs is an integral part of my SEO toolset. The backlink, keyword and content insights it delivers are invaluable when it comes to building out successful SEO & PPC campaigns for personal and client projects. Note: This button contains an affiliate link. If you purchase a subscription to Ahrefs through this link I will receive a commission at no additional cost to you. Ahrefs isn’t an SEO tool. 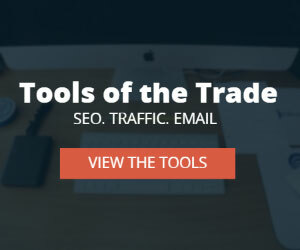 It’s a suite of SEO tools. Link analysis. Keyword research. Content exploration. Rank tracking…Ahrefs can do it all. And because all the tools are under one roof, they integrate with one-another perfectly. Over the last couple years, it’s morphed into a swiss-army knife for any serious marketer or SEO practitioner. Get an in-depth look at the backlink profile of any URL. Use the data to drive high-performing link building campaigns, and qualify keyword opportunities. Find, qualify and map keyword ideas across your funnel. Use Ahref's keyword difficulty, traffic, value and SERP overview reports to identify high-value KW opportunities. Get an unhindered behind-the-scenes view of your competitor's link building, PPC and content strategy. Use the insights to find gaps, and drive your own strategy. Quickly find out which content types and topics are driving the most traffic, links and engagement across major social networks. Use the data to inform your content strategy. Use the Site Audit tool to quickly find technical and on-page issues that are hurting your search performance. Track the rankings of important keywords by location and device. Monitor progress against the competition. Ahrefs provides a near endless number of potential use cases—I’ve listed over 50 below. Truth is, many people get excited about everything the tool can do, sign up for an account (affiliate), and only get a fraction of the potential value from it. In this review, I’m going to break down the core areas of the tool and dive into 50+ step-by-step applications of the tool. I want you to immediately harness the power of this tool in your business and/or client campaigns. This is a monster review of Ahrefs, so I have included a table of content below so you can jump straight to a specific tool or topic of interest. You can also download a PDF of this guide. It gives you a high-level overview of all your web properties (i.e. any websites that you add to your account). Ahrefs Rank: How your website stacks up against every other website in Ahrefs’ index. The lower, the better. Tracked Keywords: The total number of tracked keywords (i.e. keywords you specifically told Ahrefs to track during the setup stage) your site is ranking for. And the positions in which each of those keywords is ranking. You can click any of the metrics in your dashboard to see more in-depth information. Within your dashboard, there’s an option to add a new project. Once a project is added, it will show up in your dashboard. Note: Your plan will dictate the number of websites you can add to your account. But it will be somewhere between 5-100. More info on Ahrefs plans and pricing here (affiliate). Each tool in the Ahrefs toolset has a specific use case. 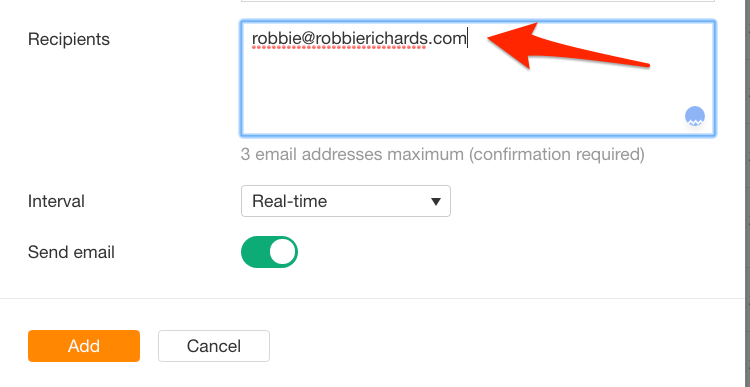 Alerts (affiliate): Set up alerts (via email) for new keyword rankings, new backlinks, and online mentions. Very useful for link building (as we’ll discuss later!). Site Explorer (affiliate): Analyze the link profile of any website or URL. Check backlinks, referring domains, anchors, organic traffic, broken links, and more. Keywords Explorer (affiliate): Find thousands of relevant keyword ideas from a single parent topic. Gather accurate search volume data, keyword difficulty scores, and a bunch of other advanced metrics in the SERP overview report. Content Explorer (affiliate): Find the most shared content on the web, related to any topic. Use advanced filters - referring domains, social shares, organic traffic and more - to find proven content topics for your website. Rank Tracker (affiliate): Track the rankings of important keywords for your website and competitors. Shows where you’re ranking for tracked keywords. Also shows organic traffic estimates, SERP features, visibility, and more. Site Audit (affiliate): Scan your website and quickly uncover hundreds of technical and on-page SEO issues. Domain Comparison (affiliate): See how multiple domains (up to 5) stack up against each other across key SEO metrics - backlinks, domain ratings, content and more. 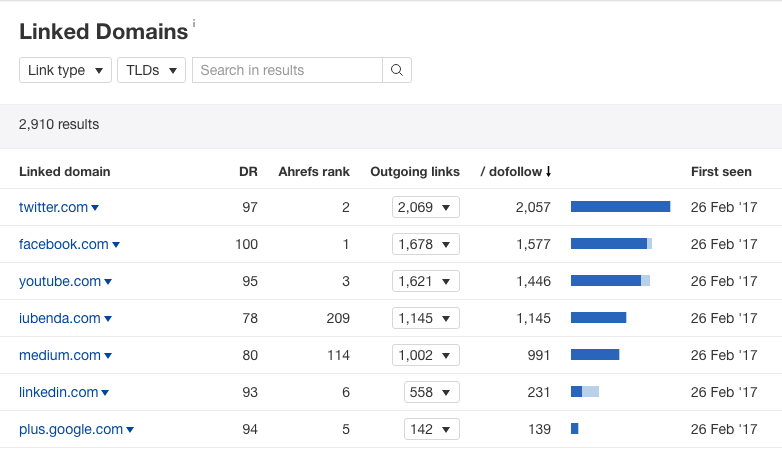 Link Intersect (affiliate): See who’s linking to your competitors (up to 10), but not to you. Also, quickly find all the websites linking to your competitors multiple times. An extremely powerful tool for finding high quality link prospects. 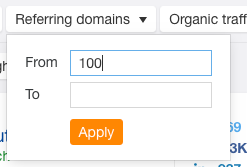 Batch Analysis (affiliate): Upload and analyze up to 200 domains or specific URLs. But, this guide is about practical application. There’s no point in me listing a bunch of awesome features and reports. You can see all that on the Ahrefs homepage. 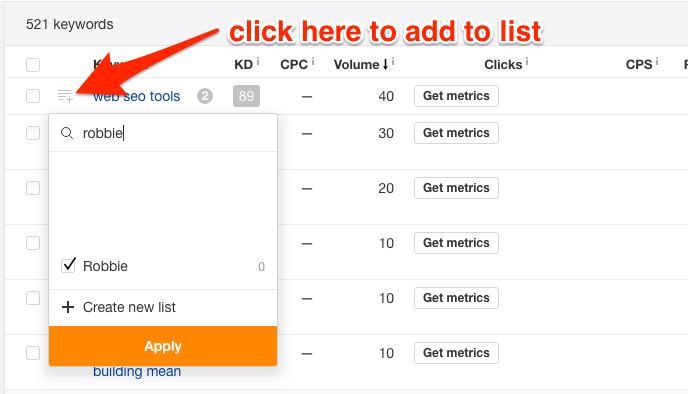 In this guide, I’ll walk you step-by-step through how to actually use the Ahrefs toolset to improve your efficiency and performance in keyword research, link building, content strategy, PPC and more. Want to know who is linking to a domain or webpage? How about the amount of organic traffic going to a specific page/post? Maybe you want to know which specific keywords are driving traffic to a certain page/post? Site Explorer can do all of this. And a LOT more. This is very useful for uncovering how your competitors are building backlinks and domain/page authority. Link type: Dofollow, nofollow, educational, governmental, redirects, etc. Platform: Blogs, ecommerce sites, message boards, WordPress, etc. Using these filters will allow you to get immediate visibility into the types of links your competitors are getting. You can also sort by DR to quickly identify the highest authority link sources. This report shows any new backlinks acquired by a domain or specific URL. Link type: Dofollow, nofollow, governmental, educational, etc. Platform: WordPress, Wikis, message boards, etc. 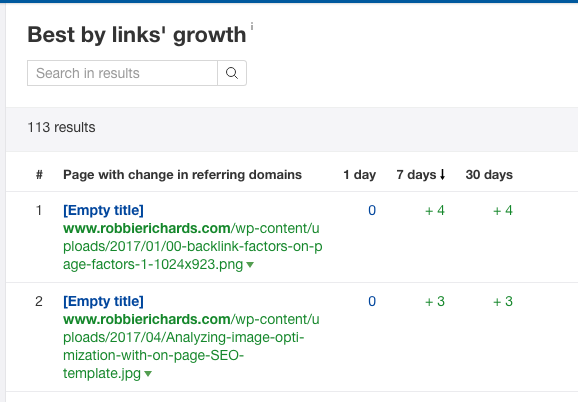 Use the New Backlinks report to see how and where competitors are acquiring links...and replicate their strategy in your business. Enter a competitor’s domain (or similar competing page) into Site Explorer. Go to Backlinks > New. Filter for dofollow links only. BOOM. You can now see all the links your competitor acquired in the last 30 days. Sift through the links and take note of how they were built (e.g. guest post? editorial? ), and where they were built. Next, reach out and grab those links for yourself! Note: Do this every 30 days and you’ll have a never-ending supply of link prospects! You can also use the New Backlinks report in the keyword qualification proces​s. 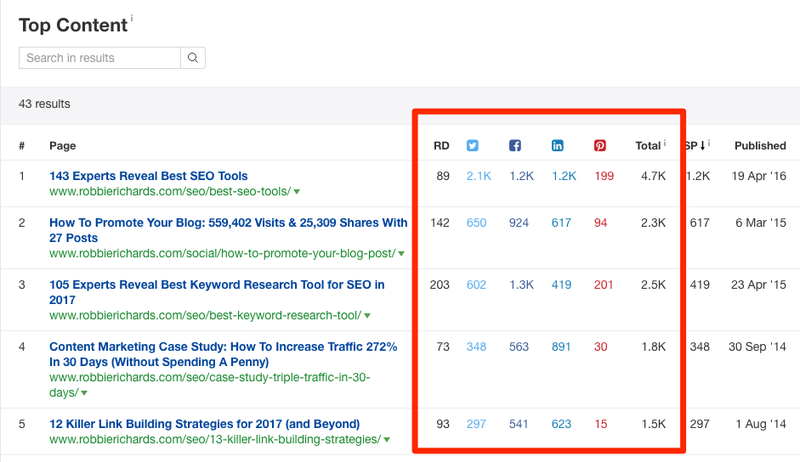 You can use the report to see the velocity at which competing pages are acquiring new links to their content. So, if you publish a new article and the competing assets have on average 20 referring domains pointing to them, and are acquiring 2 new links a month, you can calculate that you'll need to build 10 new links to your content for 3 months in order to catch them and aggressively compete for rankings. This type of insight is very valuable when determining the workload that will go into targeting different keywords/topics. Enter your domain (or a particular page URL) into Site Explorer. Go to Backlinks > Lost. If there are any good links in there, check out the page(s) and try to figure out why the link was dropped. If it looks like a mistake, reach out to the site and reclaim the link! Note: Do this every 30 days for some quick link wins. Usually, these exist because you have 404 errors on your site. This is bad, because you’re effectively losing link equity. Enter your domain into Site Explorer. Done! This is one of the first strategies I look at when planning link building strategies for my clients. Note: You’ll notice that this list is ordered by the Domain Rating, by default. Look for websites that have linked to you multiple times—these people are clearly fans of your work. Note: Just make sure to discount sites like reddit, plus.google.com, etc. You can use this report to identify unnatural, over-optimized anchor text that could put your site at risk of a potential Penguin penalty. You should have a nicely balanced anchor text profile containing branded, generic, exact and partial match anchor text, as well as some naked URLs. Disavow anything that is unnatural (or at least reach out and request an anchor text change). This is a good way to discover some quick opportunities. Why? Because sites that link with this kind of anchor text are most likely linking to deep product/service-type pages (i.e. pages that are difficult to get links to). This report shows the most popular pages linking to any website (or webpage). The report also shows individual stats for Facebook, Twitter, LinkedIn, Google Plus, and other link-based metrics related to DR/UR. Go to Top Referring Content. Look through the links in the report and see if there are any opportunities to obtain more links/mentions from those websites. Perhaps you can reach out to the site linking to your and request to write a guest post for them? Maybe you have a resource that deserves a mention in another one of their posts? Note: Make sure the source is relevant. Don’t reach out to everyone—just the sites that are a good fit. By default, the list is grouped by networks (i.e. referring c-class IPs). And it’s sorted by the number of domains falling under each c-class IP. Why? Because you can use this report to identify low-quality, spammy links...such as links from PBNs. Look for links from many domains with the same c-class IP. 32 links from 8 referring domains...all of which are under the same c-class IP. In this instance, the links are all on the same c-class IP because they’re from .blogspot blogs. So, it’s not really an issue. Sometimes you’ll uncover super-spammy links, which will then need to be disavowed. By default, the report is sorted by referring domains (highest to lowest). This report can provide a treasure trove of valuable insights about your competitor's content strategy and link building campaings. Specifically, it's useful for finding out what types of content attracts the most links in your industry. Enter a competitors domain into Site Explorer. Do this for a few well-known websites in your vertical—this will give you a sense of what content types are driving the most links. If you spot a page with a bunch of links that could be improved...hit it with the Skyscraper Technique to steal the links for yourself! 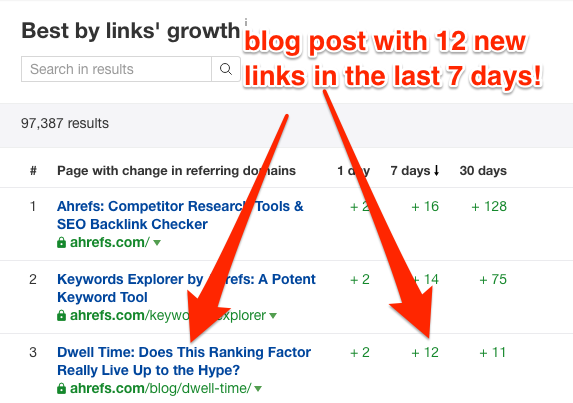 This is useful for finding content ideas that attract links naturally...CONSISTENTLY. Enter a competitors’ domain into Site Explorer. If you spot a page that has attracted a lot of links recently, take a look at the page and try to figure out why. 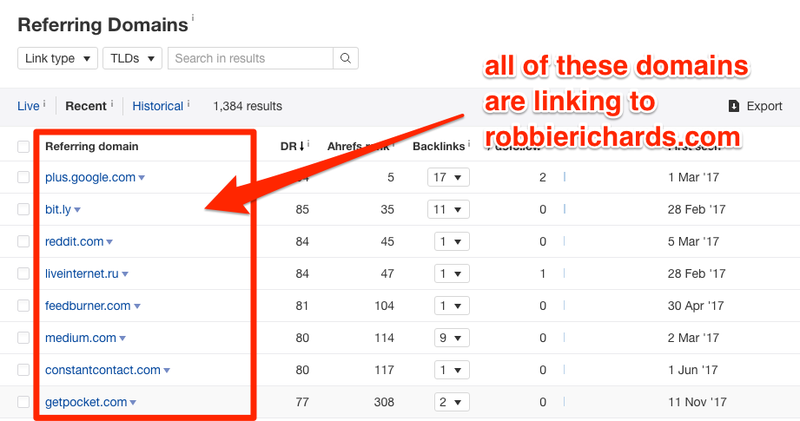 Note: You can also use the New Backlinks report to check out the actual source of the backlinks. Next, publish something similar (but better) and replicate their success! Again, this is a useful report for finding popular topic ideas. Enter a competitors domain into the Site Explorer. Note: You can also filter the results by social channel to find which topics and types of content perform better on certain social media channels. For example, a B2B company might want to sort the results by number of shares on LinkedIn. It also shows how many times each domain is being linked-to (domain-wide). And a bunch of useful metrics. Filter to only show dofollow links. This will uncover any potential "low quality" outbound links on your website—these should be removed (if they’re irrelevant/bad). Go to Outgoing Links > Broken Links. These should be fixed—they create a poor user-experience and can negatively affect rankings. Spammy backlinks are BAD news for your website. Filter to only show dofollow links. Sort the list by DR (from low-to-high). Hit one of the options to add either the URL or entire domain to a disavow file. This guide (affiliate) will walk you through the entire process of building a disavow file with Ahrefs. Site Explorer isn't just backlinks and content metrics. It also provides powerful organic search insights. In fact, Ahrefs' keywords database—from which the data in all organic reports is pulled from—is one of the largest in the industry. It also tells you the Search Volume, Keyword Difficulty Score (KD), Cost-per-click (CPC), Position, and an estimate of the amount of traffic each keyword is sending to a given page each month. You should prioritise these keywords. Why? Because you currently rank on the first page...but not in the top 5. I've used this exact process to drive fast organic traffic growth to this website, and my clients'. Note: I dive a lot more in-depth into this process in my premium SEO training course, The SEO Playbook. You can also use this report to see which keywords are driving organic traffic to your competitors’ websites. Enter a competitors’ website in Site Explorer. Select the keywords most relevant to your business, and start creating content. This is a great place to spot new keywords you’re ranking for. Look for keywords that don’t quite align with the content that is ranking. Next, create content better matched to those keywords. Yes, I mention Gmass on that list. But it isn’t a full Gmass tutorial. It would probably be better if I created a piece of content specifically around that keyword/topic. This is a quick and easy way to come up with relevant topic ideas. It also shows you the estimated value of the organic traffic (in $), the number of keywords the page is ranking for, the top traffic-generating keyword for each page (and its volume), and the position in which the URL ranks for each keyword. Look at their top pages to identify topics and keywords that generate a lot of organic to their site. Scan the list and make a note of the keyword/topic ad the corresponding content types that are most relevant to your business. This is a great report that can help you quickly start mapping out your main product/service pages, and blog assets. I've created an in-depth video walk-through of the entire process below. You can use this to quickly uncover gaps in your content strategy (i.e. topical gaps for which you could/should create content around). 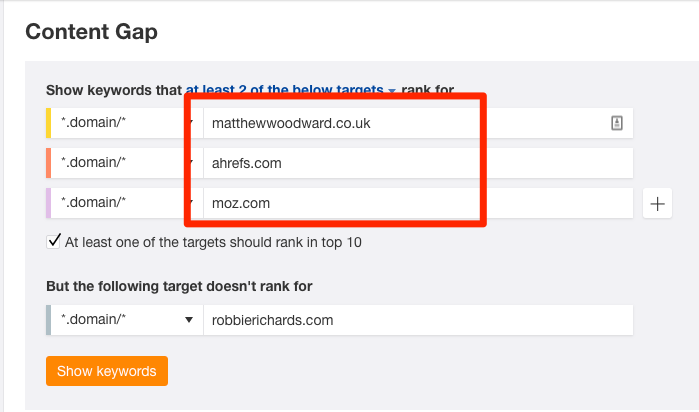 If multiple competitors are ranking for a keyword, you should also be able to. You just need to create content around the topic. You can see exactly which pages rank for those keywords by clicking the position number. In a matter of minutes you'll have a list of content gaps you can immediately start filling on your site. 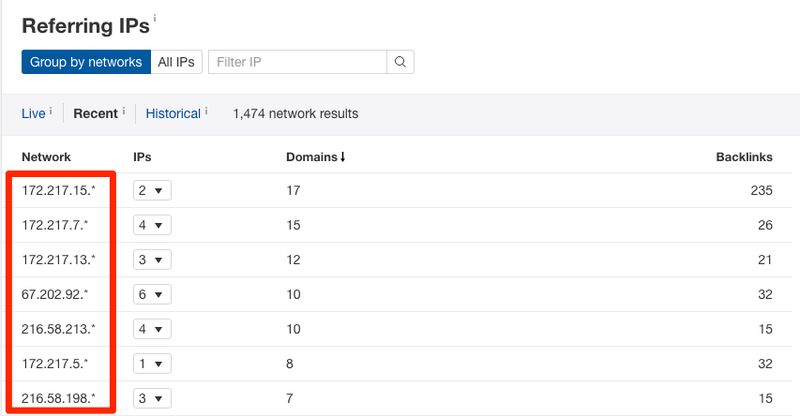 This report lists all the domains competing with the one you entered into Site Explorer​. It orders the list based on the number of common keywords each site is ranking for. You should now see a list of domains that compete with your in the SERPs. You can also use this report to find websites to pitch guest posts to. You will now see a list of other similar sites—reach out to these and see if they accept guest posts, too! This report shows individual pages (not domains) competing with you in the SERPs. You can see the number of common keywords we’re both ranking for in the “Common” column. Hit the drop-down on any competing page (ideally the one with the most overlap) and hit Backlinks. Because your page is similar, chances are you can also convince those pages to link to your page. This is an incredible (and super-quick) way to build a list of targeted outreach prospects. Site Explorer isn’t limited to SEO-related use cases. It also has PPC-related reports that sit on top of its massive keyword index. It shows you the keyword, search volume, CPC, percentage of traffic your competitor is receiving from that keyword, and the landing page URL they are sending traffic to from the ads. Enter a competitors domain (i.e. a company with a similar product and/or target market) into Site Explorer. BOOM. You now have insights into EXACTLY what keywords your competitors are bidding on. Then you need to target middle funnel ("best, top, alternative") keywords. Or bottom funnel direct product plays (eg. EHR software). Don’t forget: ad copy is perhaps THE most important part of your ad. Unless you know how to convert those impressions into actual clicks and traffic, you’ll never get people to your site to convert. 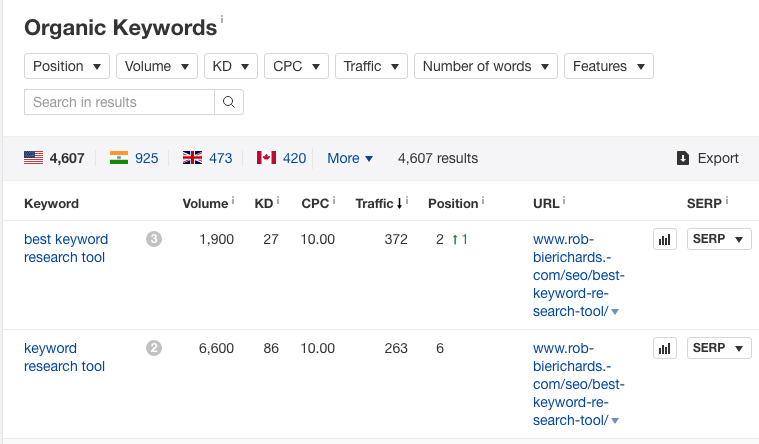 This is where the PPC Ads report comes in handy—you can see the exact ad copy your competitors are using to win the click in the SERPs and drive traffic to their campaign landing pages. Enter a competitor's domain (i.e. a company with a similar product and/or target market) into Site Explorer. Check out their ad copy and figure out how they’re winning the click in the SERPs. Note: While Ahrefs is improving in this category, SEMrush still dominates in the PPC analysis category. 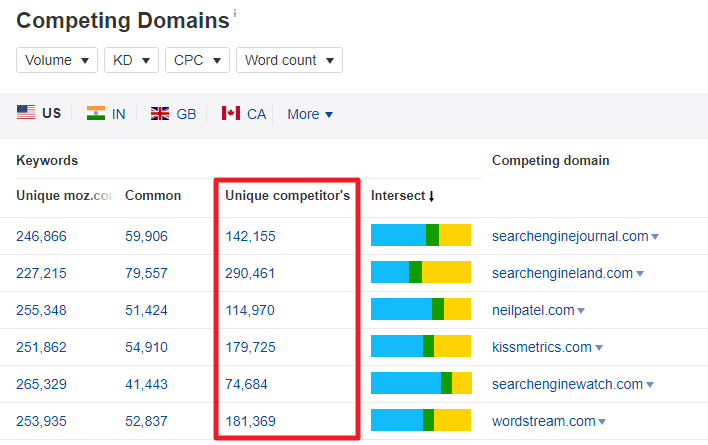 If you're specifically looking at doing in-depth competitor analysis for your PPC campaigns, I recommend checking out my complete SEMrush review here. Because once you’ve won the click (see the previous report - PPC Ads), you need to convert the traffic. Otherwise it is all for nothing. Look at and monitor competitor landing pages over time. If they’re live for consecutive months, you can likely infer it is converting well. So model your landing pages off these. Most of Ahrefs’ backlink analysis tools reside within Site Explorer. Don't let the placement fool you. These tools are all extremely powerful. NOTE: It’s very similar to the Content Gap report, only it reports on links instead of keywords. Basically, if a website is linking to one or more of your competitors, chances are you can probably convince them to link to you, too. Go to Ahrefs’ Link Intersect tool. 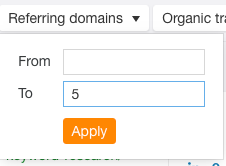 Enter 3 (or more) competitors domains. Or specific URLs. NOTE: Make sure to choose “show keywords that ANY of the below targets rank for” under the drop-down. Then you can pitch your content to these websites, too. It’s particularly useful for link-prospecting—you can run hundreds of URLs through the tool, export the results to CSV, then quickly qualify your targets. Paste a list of “write for us” type pages into the Batch Analysis tool (hint: you can find these by scraping Google). I walk through how to do this here. You can see how easy it would be to qualify link prospects like this. You can use this report to get a high-level view of how you stack up against the competition. Go to the Domain Comparison tool. Enter your domain in the #1 spot, then up to 4 competitors. You should see how your site stacks up against the competition. Use this information to see where you need to improve. I can see that the number of referring domains pointing to my website is a little weak, compared to the competition. There is a reason the Keywords Explorer (affiliate) is now ranked one of the best keyword research tools on the market. Not only does is boast one of the largest keyword indexes on the planet along with a treasure trove of data, it also provides a TON of practical applications. It also provides a ton of other standard metrics (e.g. Keyword Difficulty, CPC), as well as unique data points around clicks per search, return rate, and SERP history reports. You can also save your keywords into lists (more on this later!). Either way, Ahrefs will show stats and suggestions based off the keywords you enter/upload. Basically, a top-level overview across ALL of the keywords you’ve entered. Total search volume: This is the total estimated monthly search volume across ALL of the keywords you’ve entered/uploaded. Total clicks: The total estimated clicks (again, across all of the keywords you’ve entered). Volume distribution: A visual representation of the search volumes for each of the keywords. Difficulty distribution: A visual representation as to how difficult it will be to rank for these keywords. NOTE: There are a few other stats and figures further down the overview report, but I’m not going to go into these. I want to keep this guide as actionable as possible. Keyword Difficulty (KD) Score: An estimate as to how difficult it will be to rank for a keyword (on a scale from 0-100). KD is a reliable indicator since it is based on page-level link data, not domain level data. CPC: How much you would pay per click for a given keyword in paid search. Volume: How often a keyword is searched per month in a given country. Clicks: An estimate as to how many clicks the search results are likely to get (note: this is usually lower for SERPs with featured snippets etc). CPS (Click-per-search): An estimate as to how many different results the average person clicks on. Parent Topic: This shows if you can rank for your target keyword whilst also targeting a similar keyword with more search volume. As the Keyword Explorer (affiliate) isn’t really divided into “reports” the same way the Site Explorer is, I’m going to treat this section of the review a little differently. 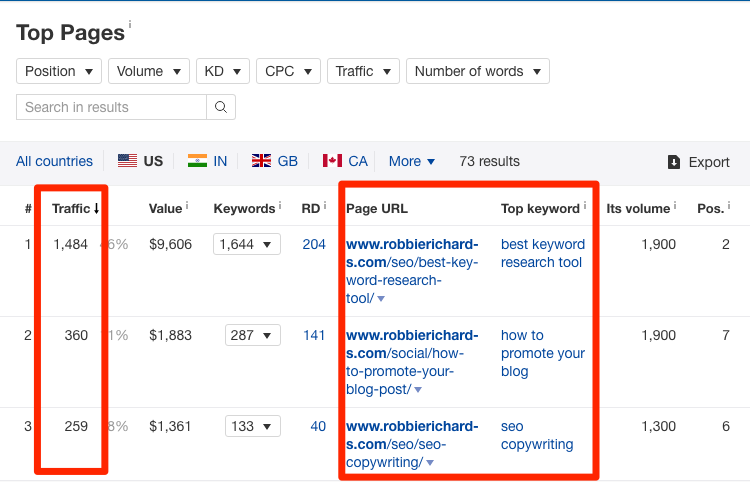 Instead of showing actionable insights for each of the reports, I’m going to list a few ways I use the Keyword Explorer to drive results across personal and client projects. Enter some keywords into Keywords Explorer. Go to Keyword Ideas > All (on the left-hand sidebar). You can see in the image above that from entering just 4 keywords, Ahrefs’ has come up with over 24,000 similar keyword ideas! All: Every keyword suggestion Ahrefs finds. Phrase match: All keywords that contain the exact phrase(s) you entered. 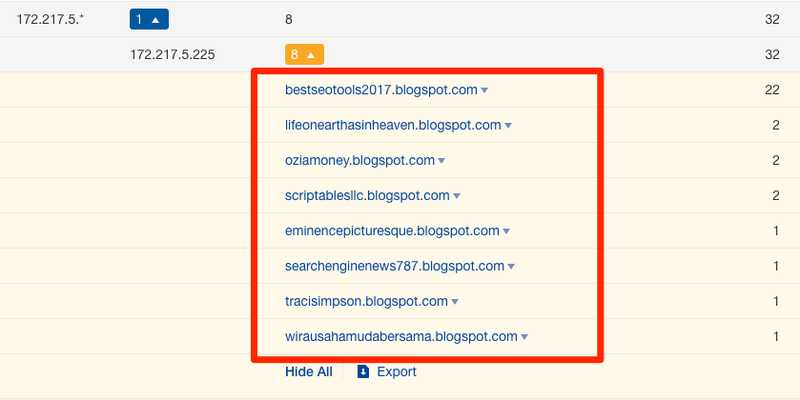 Example: If you entered “SEO Tools” into KW explorer, this report will show keywords like “best SEO tools” and “SEO tools for bloggers”. Also rank for: A list of keywords generated by looking at the other keywords pages in the top 10 (for the keywords you entered) rank for. Search suggestions: All keywords suggested via Autocomplete (for the keywords you entered). Newly discovered: Keywords that have entered the Ahrefs database recently (note: this is super useful for finding new keywords/topics that people are searching for recently). You'll be able to use 8 different filters - keyword difficulty, word count, search volume etc - to quickly surface the best keyword opportunities for your business. In simple terms, this shows results in the top 10 (for the keyword you selected) that have fluctuated over time—it shows a visual representation of this, so you can see which results are fluctuating in and out of the top 10. Let’s say you identify a page that’s recently improved their rankings dramatically for your target keyword. They’re now sitting in the top 10. For example, we can see that for the keyword “SEO tools”, Lunametrics have recently entered the top 10...almost from nowhere! The question to ask if you see this is: WHY? Chances are they’re doing something right and that there is a lot you can learn from them. So, grab their URL and paste it into Site Explorer—more often than not, you’ll see that they’ve been doing a lot of link building, or they have epic content that is riding off the back existing domain authority. If this is the case, you now have a ton of prospects you can reach out to in order to build links to your page, too! This means Google is constantly giving other newer assets a chance. And if this is the case, it’s probably a keyword you stand a chance at ranking for. SERP Overview gives you a comprehensive look at the top 10 ranking pages. 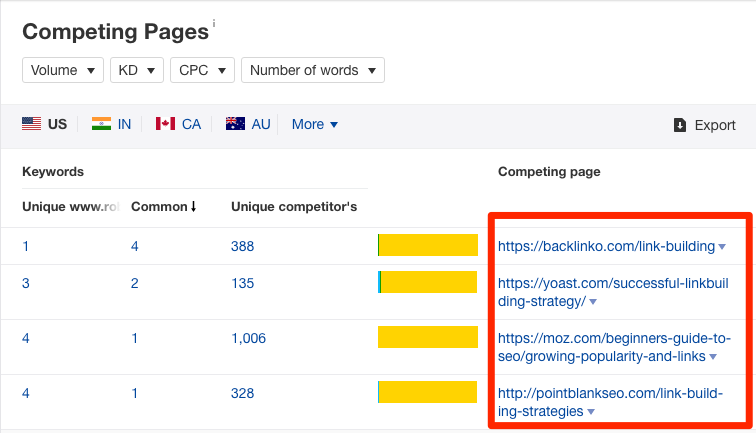 You can use this report to figure out exactly what might be required to compete with these pages and rank for this keyword. Domain Rating (DR): This shows how each of the websites stack up in terms of link and overall domain authority. It can give a good indication as to the caliber of sites that generally rank for this keyword—if you aren’t in the same ballpark as them, you’ll need to attract a lot of links directly to the page in order to compete for rankings. UR (URL Rating): This shows how “authoritative” each of the pages are; again, the higher the average competition, the more links you’re going to need to attract directly to your page (note: I weigh page-level authority more than domain-level authority when assessing keyword competition). Domains: The number of referring domains pointing to each of the pages in the SERP. If this is really high, then you’re definitely going to need some serious links to stand any chance of ranking in the top 10. Traffic: This is an estimate as to how much organic traffic each of the pages receives each month—this is useful for weighing up whether or not the reward is worth the effort. Content Type: Pay attention to the types of content that are ranking. If you notice a lot of blog posts are ranking, don't try to target a keyword with a product page. Mini Case Study: Last year I used the checklist above to qualify a competitive keyword for a client who sells interactive content marketing software. After looking at the domain rating, and page-level link factors I determined it was a very "gettable" keyword. We created a long form blog post targeting the term. Now, it ranks highly in the SERP and drives thousands of targeted visitors to the client's website each month. Rank Tracker does what it says on the tin—it allows you to track rankings across your websites. I know from experience that there are a lot of rank tracking tools out there (and some of them are pretty good...even the free ones), but in my opinion, this is yet another area Ahrefs shines. Average position: The average position across all of your tracked keywords. Traffic: The amount of estimated monthly organic traffic you’re getting across the board for all of your tracked keywords. SERP features: Very cool report—this tells you how many SERP features (e.g. featured snippets) there are for your tracked keywords; and how many you own! Positions: Shows increases/decreases in positions across the board—very useful for getting a sense of how things are progressing for your target keywords. This report gives an overview of everything related to your rankings. NOTE: You can toggle between each of the options at the top of the report (i.e. visibility, average position, etc.) to change the data displayed on the graph. This is useful for seeing a visual representation of the data. 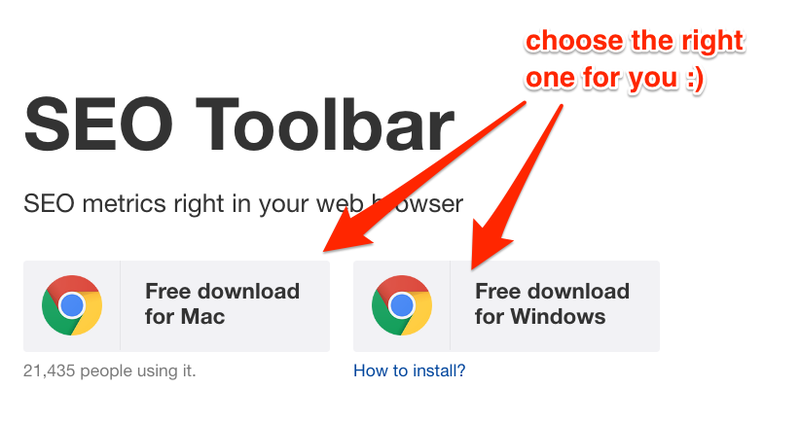 This is super-useful for seeing where your competitors have the edge. And also where they might be focusing their efforts. In short, this is very similar to the “metrics” report within Keywords Explorer, so I won’t go into too much detail here. However, you can see this within Rank Tracker, it only shows metrics for the keywords you’re currently tracking. It gives you an overview of changes over the past 1, 7, 30, and 90 days. And, of course, it shows stats for “all time”, too. Yep...that’s 842 million pages in the content index! As you would expect, this gives you a LOT of content results for pretty much any keyword/topic you could imagine. Enter any keyword into Content Explorer. Let’s go for “keyword research”. All of this content is clearly popular—this means it’s easy to find skyscraper content opportunities. Just hit the green drop-down arrow (next to the URL) and select “Backlinks” to see all the links pointing to that particular page. Content Explorer also allows you to filter for keyword position. Everywhere: Shows results where your chosen keyword appears either in the title OR content. 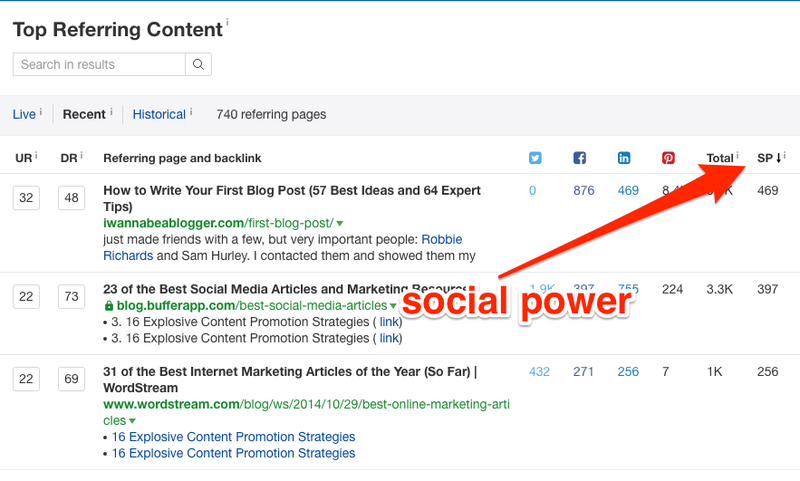 In content: Shows results where your keyword appears in the content. In title: Shows results with your keyword in the title. You can also mix and match keyword using the advanced search functions. These filters allow you to easily uncover specific content types (e.g. infographics) that have a TON of links. This will find infographics with a TON of links—this is super-useful for uncovering infographic content ideas that are likely to attract a lot of links. Most keywords with decent search volume require a TON of links to rank in the top 10, right? True. But there are some exceptions. Content Explorer can help you find these exceptions (ow-hanging opportunities). Enter a keyword into Content Explorer. You will now see content that has at least 1000 organic visitors per month, yet has achieved this with no more than 5 referring domains pointing to the page. You get a new backlink to a particular domain (or URL). You rank for a new keyword on a certain domain (note: you can also choose to ONLY be alerted for keywords of a certain volume, if you like). A keyword is mentioned somewhere on the web. Basically, it’s like a more granular, powerful version of Google Alerts. Choose between a “Backlinks”, “Keywords”, or “Mentions” alert. NOTE: This is the input box for a “backlinks” alert—it will look slightly different for the others. Link building is one of the most difficult and time consuming SEO tasks. So, it’s worth making sure you have every link you deserve, and they stay live. You can use Ahrefs Alerts to monitor brand mentions without links, and reclaim them. I recommend weekly. Otherwise you end up with a ton of emails! Ahrefs will now alert you when your brand name is mentioned on the web. You can check out the mention and double-check they’re linking to you. If they aren’t, shoot them an email and ask if they’d kindly add your link to the article (as they already mentioned your brand name). Most people should say yes. That’s it—you just landed yourself an extra link in no time at all! It crawls your website and identifies a range of technical and on-page SEO issues that might be negatively affecting your SEO. The best part: It’s super-easy to use. First, go to Site Audit and hit “+ New Project”. NOTE: You cannot use Site Audit to audit a competitors website. It MUST be a site that you own (or at least have access to). My advice here? Leave everything as default unless you know exactly what you’re doing. This is useful if you want to stay on top of SEO issues. 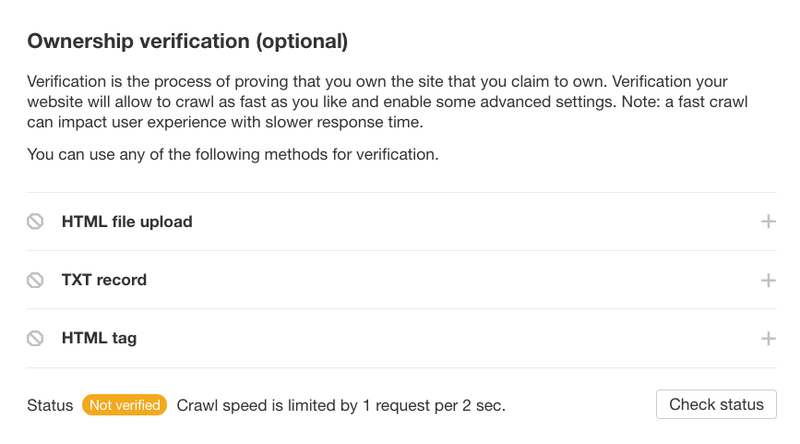 It automates the ​entire site crawl process. And that’s it—you’re ready to go. Go to Reports > Internal Pages > HTML tags. This makes identifying on-page issues issues super easy—previously, you would have had to run a tool like Screaming Frog to gather these insights. And when you consider that the Site Audit tool can be scheduled to run automatically, you can stay on top of these issues at all times without much effort. 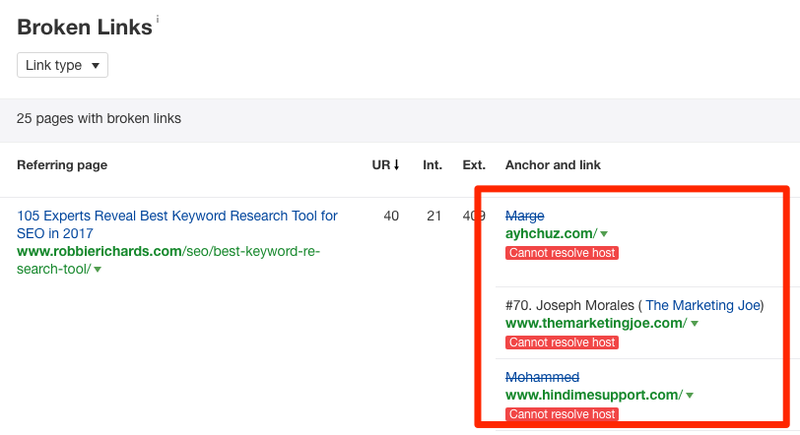 There a dozens of practical applications of this tool I could list, but the team over at Ahrefs put together an awesome 16-step SEO audit guide here that will walk through it all. Highly recommend you check it out if you plan to do any kind of site audit. The Ahrefs Toolbar (affiliate) is a Chrome browser add-on that lets you view data from Ahrefs directly in your web browser. This is super-useful when link prospecting—you can simply hit the Ahrefs toolbar icon to see stats for any website. This makes decision-making super quick and easy. You can use the toolbar to quickly qualify link prospects and gauge keyword competition without ever having to click away from the SERP. Huge time saver! You will get access to the Ahrefs API with your account. Note: API credits differ depending on the account level you have. More information here (affiliate). The API can be used with a number of third-party tools such as Screaming Frog and URL Profiler (affiliate). In the context of a content audit, I can use this link data to help make page-level strategic recommendations on whether to keep, remove, improve or consolidate existing assets. Maybe there is a technical error. No software is perfect. Maybe you're unsure about how to use a certain feature in the tool. Everything has a learning curve. Regardless of what you're confronted with, Ahrefs will be there to help out. Help: Here you can find a bunch of resources written by Ahrefs team members that will help with most of the questions you have. It’s essentially a fully-searchable knowledge base which covers issues relating to billing & account access, metrics, use cases, best practices, and more. Live Chat: Ahrefs uses Intercom on their website. You’ll see this in the bottom right-hand corner as you’re using the tool. The support team is always only one click away. Just hit the “New Conversation” button to begin chatting. Academy: Ahrefs have recently launched the Ahrefs Academy (affiliate). It contains actionable video tutorials showing how to get the most value from the tool. These videos as useful for all skill levels. And, if for any reason these three options don’t solve your problem, the Ahrefs’ team members are always responsive. I’ve reached out to them many times in the past and a response is never more than a few hours away. You can find contact details for their team members here (affiliate). By now, you know how powerful Ahrefs' insights can be for your business. As you can see in the screenshot, there’s an option to start a trial of either the Lite or Standard plan for $7. I highly recommend you do this. It's a low risk way to take the tool for a test drive and see if it is a good fit for your business. Ahrefs is without a doubt one of the most powerful SEO/PPC/Content/Audit/Competitor Analysis "toolsets" (not tools) on the market. While we covered a lot of practical applications of the tool in this review, we really only scratched the surface. The fact that all the tools integrate seamlessly with one another provides an endless stream of potential use cases to help you crush the competition, and grow your business. It's now a central component of the tool stack we use to run our agency, and drive growth for our clients. And I'm not the only fan. Many other SEOs and content marketers have voiced the same sentiment here, here, here and here. Grab a $7 trial (affiliate) and give Ahrefs a test drive today! I’ve never actually used ahrefs that much, I mean I know about the tool for many years now, but I always used SemRush and all the Moz stuff. I think I will have to give ahrefs a try now and see how it compares to the competition. Not really sure if I need it, but a trial run never hurts. cause the information you gave is very detailed and practical ..
not everyone does such explained demonstration on how to do something like SEO or whether it something else. Robbie, it’s one the best review about Ahref, a small blogger like me wouldn’t afford ahref tool but you made me to buy it now. nice explanation. I am big fan of their content exploration tool. It has helped me alot to find new keywords. i also have serpstat and kwfinder.com but AHREF is my all time fvrt. Thanks Alex! I don’t use the CE tool as much as I probably should. More using it for link analysis and keyword research right now. very long article. How many days did it take to write this article?